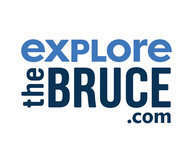 Bike, hike, walk and visit numerous pods created by Butterfly Gardens of Saugeen Shores. Stretching from MacGregor Point Provincial Park, Saugeen Rail Trail, Bruce County Museum and Cultural Centre, to Captain Spence Path in Southampton over 4,000 native plants have been planted to assist Monarch Butterflies. Visit: www.butterflygardensofss.ca and like us on Facebook: Butterfly Gardens of Saugeen Shores.